These folks past the test, and we couldn’t be more excited to have them on board! Haley Crownover, Project Engineer Haley has served as an A.L. Huber Intern for the past two years and has accepted a full-time position as Project Engineer. 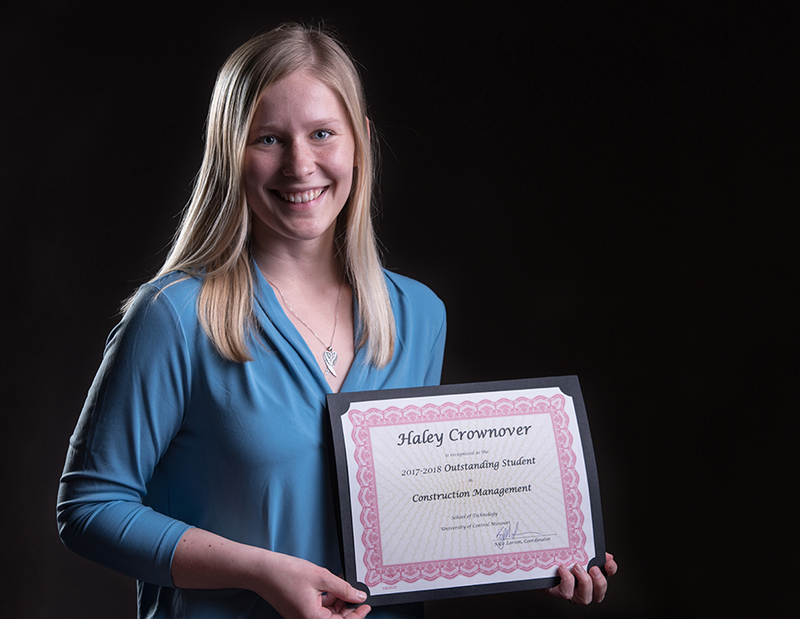 Haley was chosen as the 2018 Outstanding Construction Management Student of the Year at the University of Central Missouri and also was the recipient of the A.L. Huber Builders’ Association Scholarship in 2017. Brett Collins, Project Manager Brett’s experience is a perfect complement to A.L. Huber ‘s portfolio of quality projects. Brett is a true partner with the design team and the project owner consulting on space and details for successful build and final delivery. Troy Feller, Project Superintendent Troy joins the outstanding A.L. Huber superintendent team with 20 years of field, supervisory and management experience. He will manage multiple market types from industrial to medical to commercial projects. Tony Niehaus, Project Superintendent Tony will be the jobsite superintendent managing construction from beginning through end. He brings two decades of field supervisory experience on a variety of project types in the Kansas City area. Matt Pinnell, Project Superintendent Matt joins the A.L. Huber team with 30 years of experience in the construction industry. He will be involved in a variety of projects from commercial, faith, medical and industrial. Steve Reiman, Project Superintendent Steve has 20 years of jobsite superintendent experience on quality projects in and around Kansas City. Steve’s focus on exceptional client service will be appreciated by A.L. Huber’s clients.